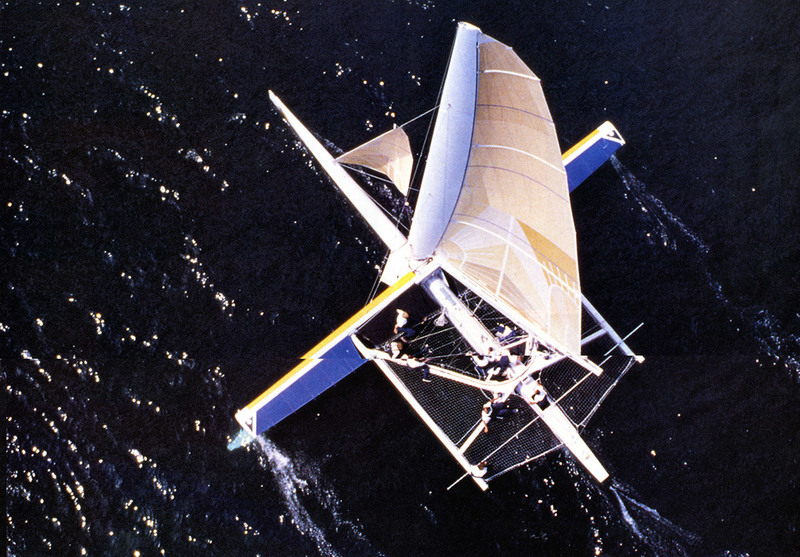 Here at Tony Castro design, the current pre-occupation for foiling is an area which is great interest to us, as we were involved in foils for the purposes of generating lift back in the 1980's. As on the one of the designers of this ground-breaking foil-assisted monohull yacht - Tony can vividly remember sailing her and his first experience of sailing at a speed greater than the wind speed. 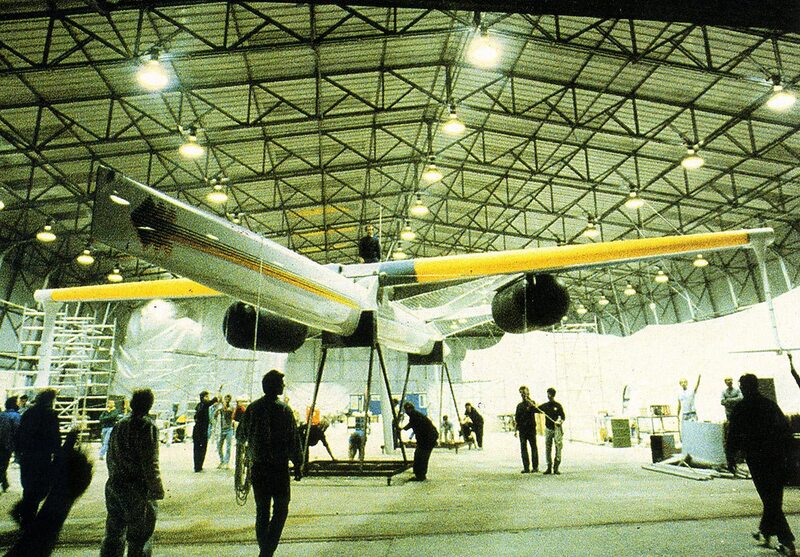 The main hull was a mere 2ft 7" wide and supported an 80 foot cross beam with flipper like adjustable winglets foils at each end.. The yacht was of a very high tech construction and weighed about 10% of a conventional monohull of similar length. 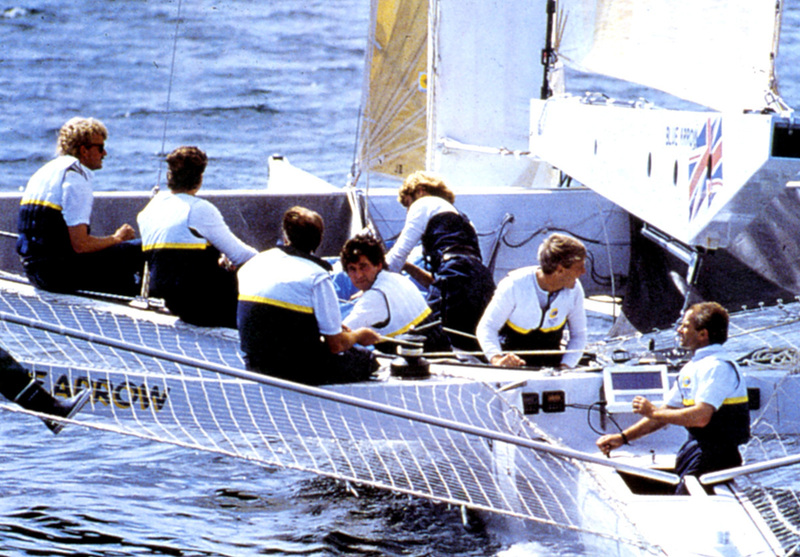 Sadly the 1988 America's Cup is better known for it's battles in the courtroom, and although in 1987 Michael Fay had verbally agreed with Blue Arrow to participate in an elimination regatta for all challengers - when he saw our hydrofoil assisted monohull - he withdrew that offer and asserted that in reality he was only interested in challenging yachts of the same size and similar configuration to his more conventional boat - KZ1. Due to the rescindment of an opportunity for her to compete for the America's Cup - and the further development required, the project was not continued. "Back in the days when we did not know any better - I vividly remember my cigararette smoke suddently changing direction when sailing downwind. We had just been faster than the wind !!! 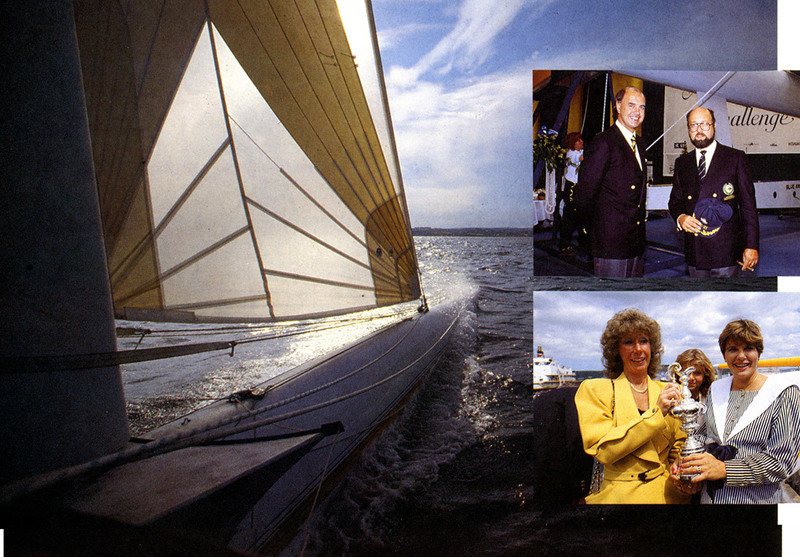 - a big deal on a large yacht back in the 1980's!"